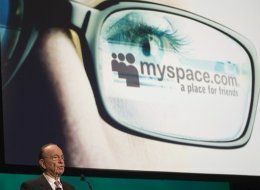 MySpace launches the new My Ads Platform I have written up a bit of a background below. MY ads is a Self serve AD Platform or exchange. It works in a similar way to Facebooks ad exchange. The big difference is that it only allows display ads (Leaders and MPU’s) for now where as Facebook is only text ads with image. Novice users can create ads with pre built flash templates/tools as well as uploading their own. My Ads are charged only on a CPC where as Facebook is a CPC or CPM. The price is determined in much the same bidding System as the Google PPC model with more popular terms being more expensive. Apparantly the key to MySpace’s ad platform is their Hypertargeting technology. Facebook allows targeting as well, although it’s based on interest areas put in by users directly. So if someone says they like books, you can target ads to them based on that. What MySpace does is much different - they build out a profile of each user based on what they do on MySpace over time, with 1,200 different ways to categorize each user. · Commentators are calling this myspace’s effort to find a ‘google moment’ i.e. the point at which they find a way to monetise the massive audiences they have attracted. · Given the investment in Social Networking in recent years it’s unsurprising. So far none of them have lived up to expectations in terms of generating significant return on investment and by today’s standards will take years to reap the rewards. · This new Exchange Platform seems to be the way forward. · I like how it makes advertising accessible to the novice with flash tools as well as offering full display ads. · I estimate that this is an experiment in cutting out the middle man. Could investing in efficient software systems now will mean redundancies later. · It’s also fully customisable so we as planners KNOW what we are getting. · We can see the popularity of terms so we know that the price we are paying is justified. It saves time negotiating and could result in paying unnecessary commission to salespeople. · We can see stats readily before planning and I suspect this system will make reporting easier also. · The only air of caution I would raise is that the system must be efficient. If its not, Planners will want the human Touch. Perhaps a tech-savvy troubleshooting team is the way forward as a first contact??? Currently running in AMERICA not yet available in the UK.